Coarse terminal and Miscellaneous difficult welding. 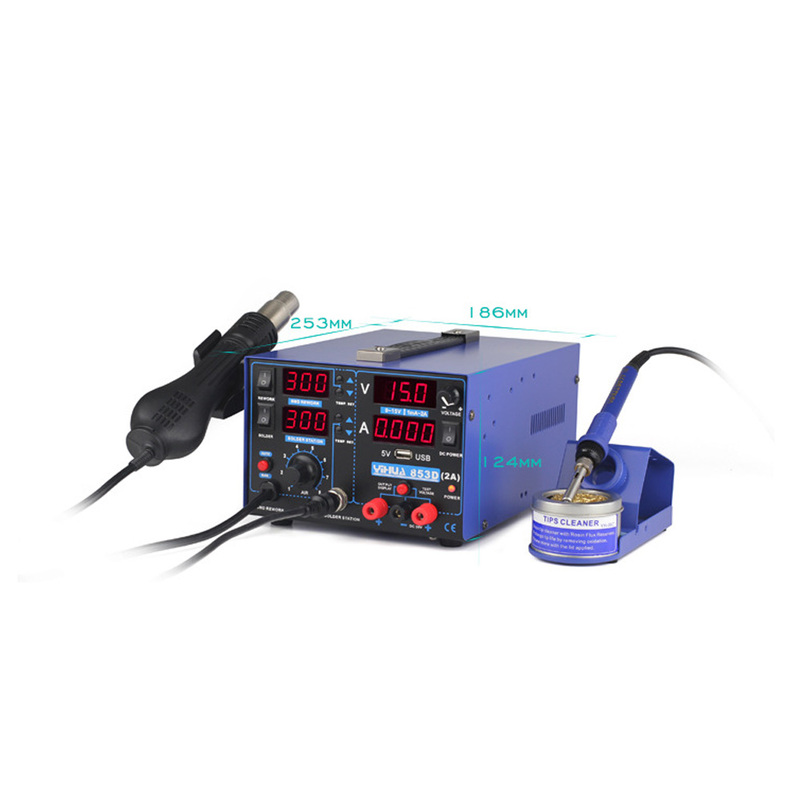 2.Soldering iron part add the vibration of dormancy function ,sleep time set to 10 minutes,iron handle use imported heater iron handle. 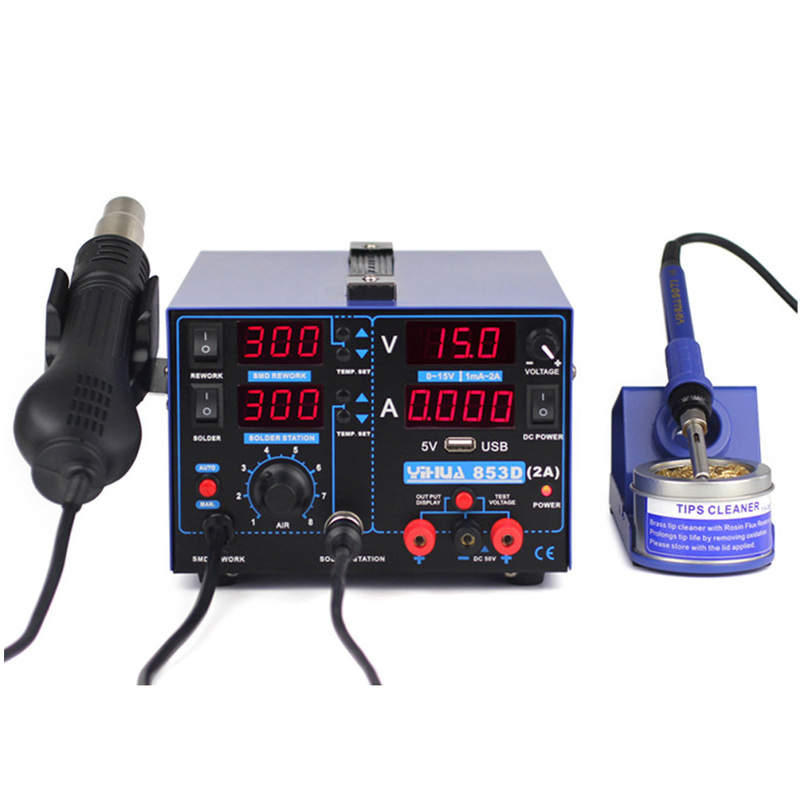 the manual mode is suitable for frequent use of air guns, eliminating the need for back and forth to cool the warming process, convenient. can direct read the Am value. 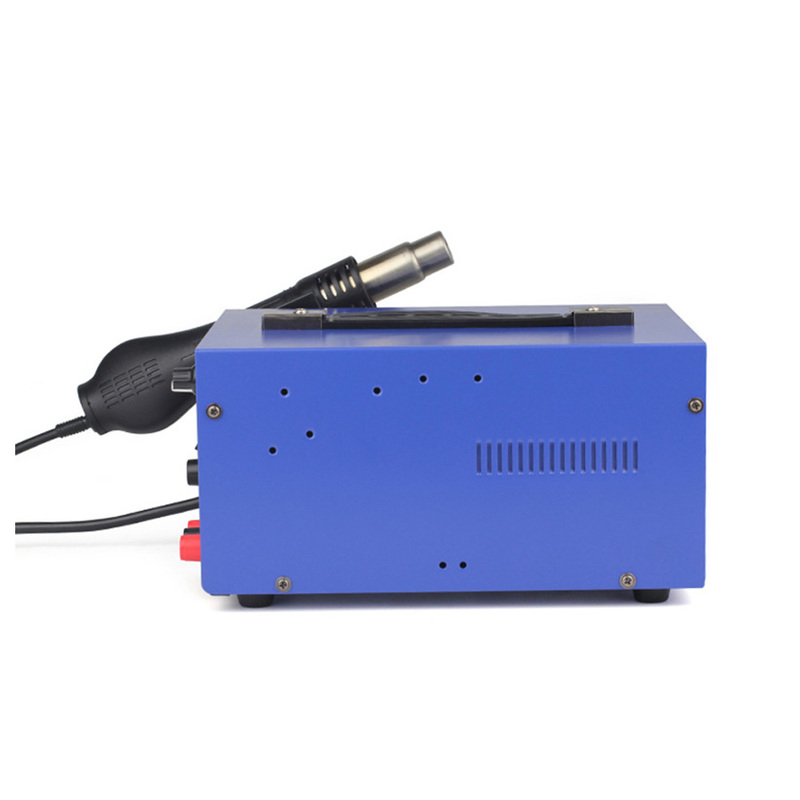 6.The goods inside board use double panel SMT technology,the performance more stability and durable. and cleaner tips copper wire ball,more convenience clean tips,it\'s prolong use life. it will help the machine heat radiation, this is good for prolong the machine use life. 1.Controlled by Dual-Core microcomputer for fast temperature rising and keeping stable. 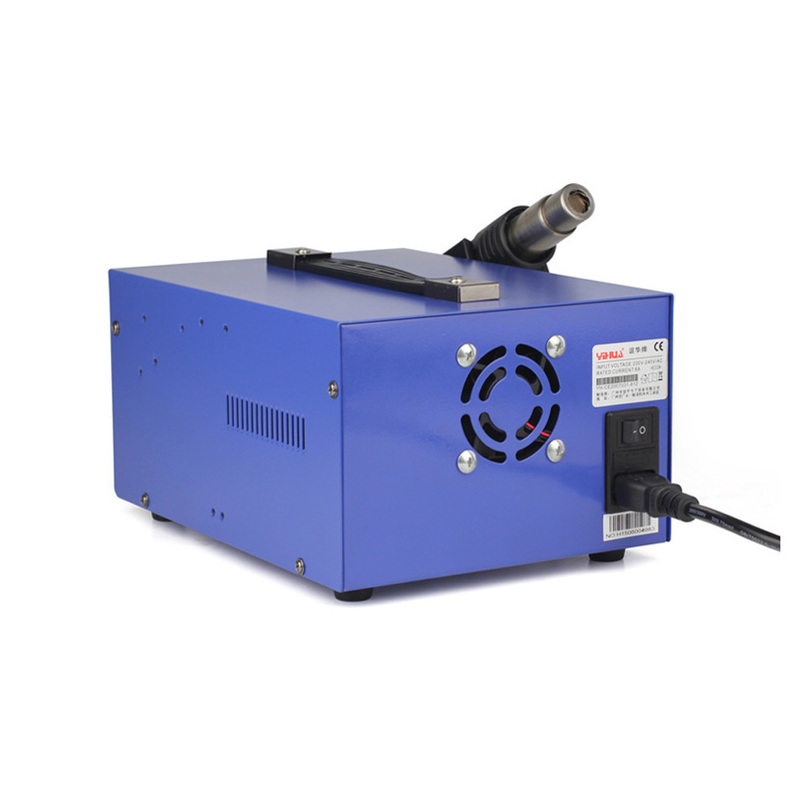 4.The air gun automatically enters standby when the temperature is less than 70oC threshold. 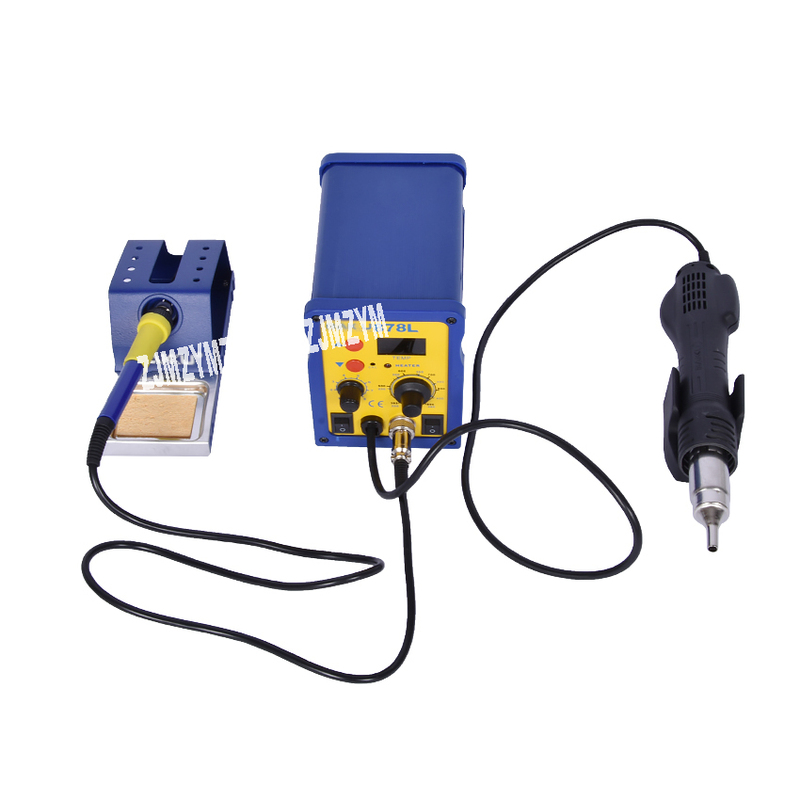 5.Soldering iron with anti-static design to prevent electrostatic damage on dedicated SMA components. 15.With short circuit, open circuit, over-temp and over-load protection. 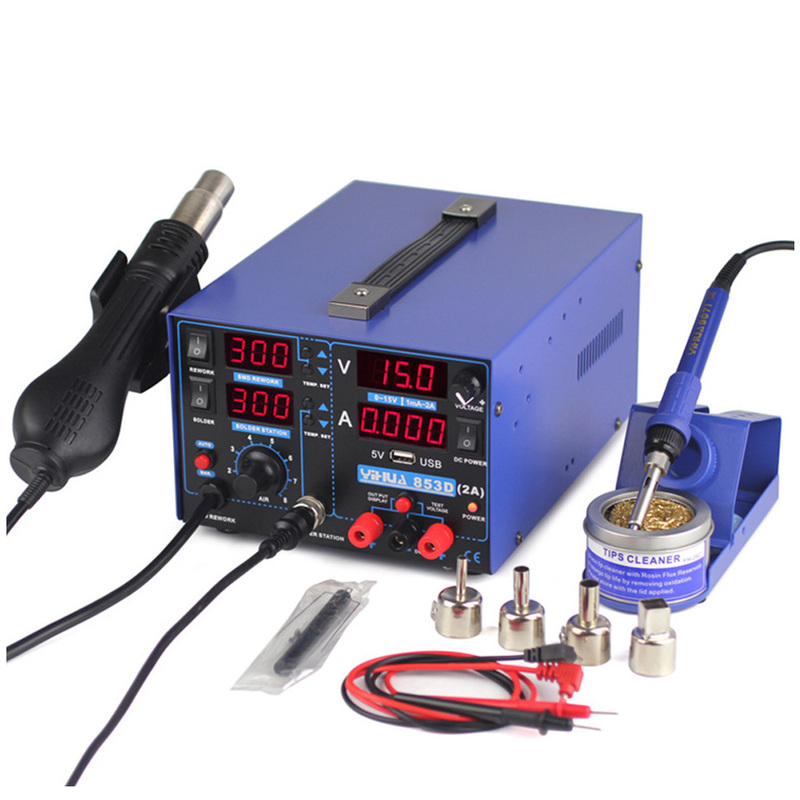 16.Fits for heating shrink, drying, lacquer removal, viscosity removal, ice-out, pre-heating and glue soldering.